Minions: We've learned to love these jaundiced and adorable creatures in Despicable Me. They have been idiotly loyal to their old master, Gru, but now in their own movie they are going to serve a new master or two... albeit in a much earlier time. Will we see a lot more of their usual ballistic fun and banana filled adventures? There is only one way to find out and that is by indulging your self with this newly released trailer of the movie Minions, courtesy of Universal Pictures and Illumination Entertainment. Watch the new trailer of Minions. 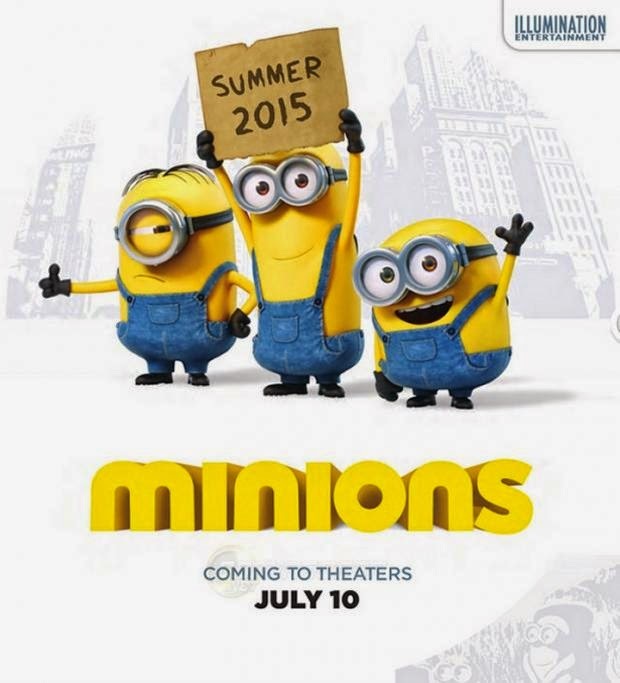 Minions will wreak havoc in theaters on July 10, 2015.